If you were managed whole business contacts in a single VCF file and now it becomes complex to manage complete data as single vCard file then break .VCF as multiple files by using vCard splitter tool. Get the most influential VCF splitter software at eSoftTools which requires few seconds to split vCard file. Experts designed this application with infrequent working process and unique formula to split vCard files. Without harming internal data of vCard file, the software will perform to split the larger vCard files into small or multiple vCard file with reserve data. VCF vCard splitter made with simple GUI that easy to handle by any kinds of users. vCard splitter available at eSoftTools is the best possible way to read single VCF file contacts data into multiple VCF files by saving individually. Here in this application, no limitation set for file size and users can split unlimited sized vCard file. VCF split fastly with the given VCF splitter tool and save complete contacts data as multiple vCard files. With using the software smart graphical user interface all users capable to split vCard in safe manner. Split unlimited sized vCard file to multiple files with this application because software is not bounded with any size limit. It means the users are capable to split any larger size of vCard file without hesitation of losing the data of vCard file. 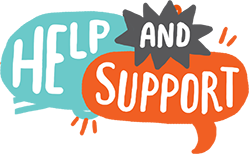 VCF Split Software nicely preserves contacts properties (first name, last name, phone number, email address, mobile number, images and web links) and keeps your contacts data as it is at the time of splitting the vCard file in safe manner. The smart vCard Splitter application is safe & secure to install and successfully split vCard file into various .VCF files against any data loss. Deprived of any data lose tension the users can use this perfect vCard splitter application to split the larger VCF files. 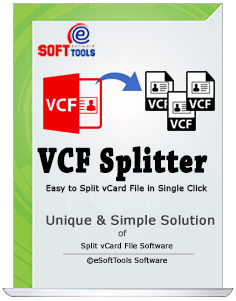 VCF vCard Splitter Software is designed with graphical user interface which is clear to view and understand for effortlessly process this tool to split .VCF file. Software offers split .VCF file to Multiple without making changes in data. Trail Demo of vCard Splitter Application -Use demo first to know all the software working functionality, the demo is free to download available on every windows versions supported windows 10 (32 and 64 bit) and after complete examination purchase full version to start the restoring process of splitting vCard data. Select vCard file from various storage locations. Does the software supports 64 bit of Windows Versions? Yes, the software supports both 32 and 64 bit of windows operating systems to split vCard file. In how many minutes, may I split my vCard file? The whole time will be consuming upon the size of your vCard file. Is your software works on all versions of windows or vCard for splitting? Does software performs as demo version? Yes, you can use demo first to examine tool splitting power after that can purchase full version of the software to restore data.